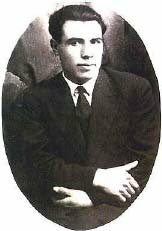 In honor of the founder of the contemporary Macedonian literature - Kocho Racin, in his hometown, Veles, since 1964, Balkan literary manifestation Racin Meetings has been held. In the frames of this manifestation, Balkans literatures are represented and it is discussed about the literary cooperation and honorary acknowledgment for contribution in the literary cooperation of the Balkan nations is conferred. In the framework of Racin Meetings, International literary Symposium is held where the most important issues in the field of the literature are treated. At these meetings, Racin Acknowledgment is conferred to the best prose work by Macedonian author.